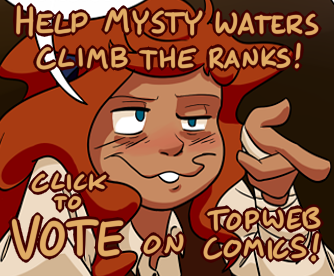 I'd just like to mention that Mysty Waters is undergoing a bit of a hiatus right now! I was in the artist alley for Otafest 2018, and all the prep for that was eating all my time!! It'll be back again soon, after I've had some time to recover. Thanks, and I'll see you the next update!